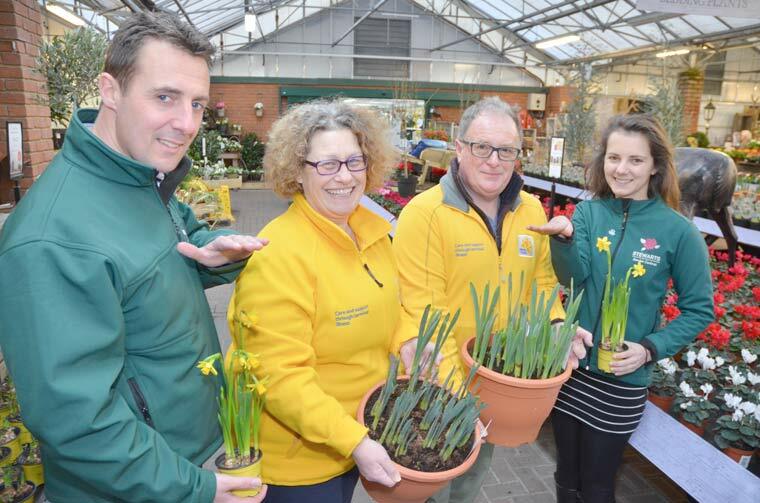 A tallest daffodil competition has been announced by Stewarts Garden Centre at Christchurch with judging to be held on Saturday 14 April at 3pm by members of the Christchurch and Highcliffe Marie Curie Fundraising Group to coincide with the charity’s annual Great Daffodil Appeal. Terry Head, retail and marketing director at Stewarts, said that a special gardening equipment hamper will be the prize for the under 15s winning tallest entry and a £100 worth of gift vouchers will be the prize for the tallest daffodil presented by an adult. The Christchurch and Highcliffe Marie Curie Fundraising Group’s chairman Lorraine Nutland said that she and her team looked forward to announcing the two winners and having the opportunity to increase awareness of Marie Curie locally and the dedicated care that is provided by the Marie Curie nurses across the region. Further information available from www.stewarts.co.uk. Donations can be made on the day or through the groups Just Giving page at www.justgiving.com/fundraising/christchurchandhighcliffefundraising All donations to the group are spent on the nurses in the local community.